Crete is surprising island with high mountains, canyons, sandy beaches, picturesque villages and 300 days of sun! 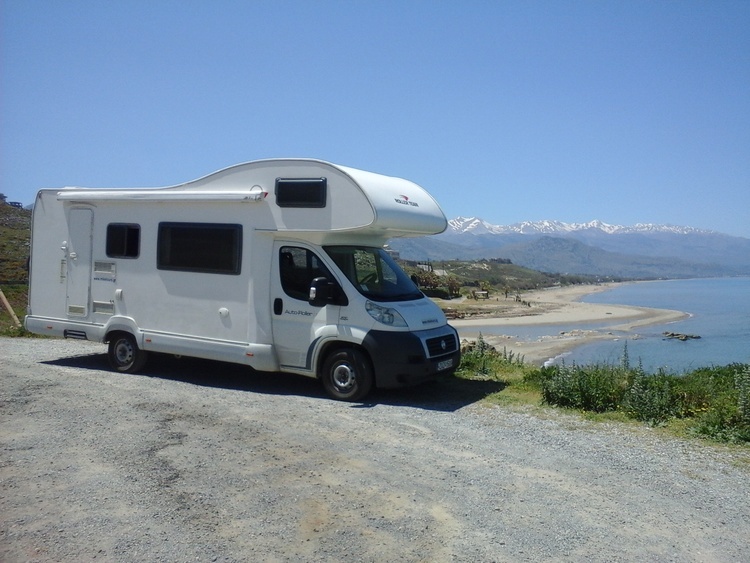 Discover this beautiful by campervan without rush. 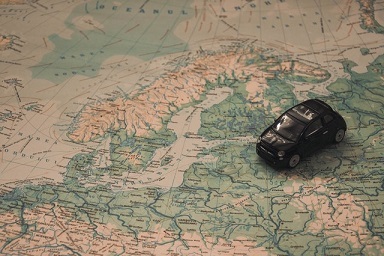 Go wherever you want to go, stay wherever you want to stay. Enjoy your freedom! 71307, Europe, Greece, Crete, Heraklion ,Heraklion. 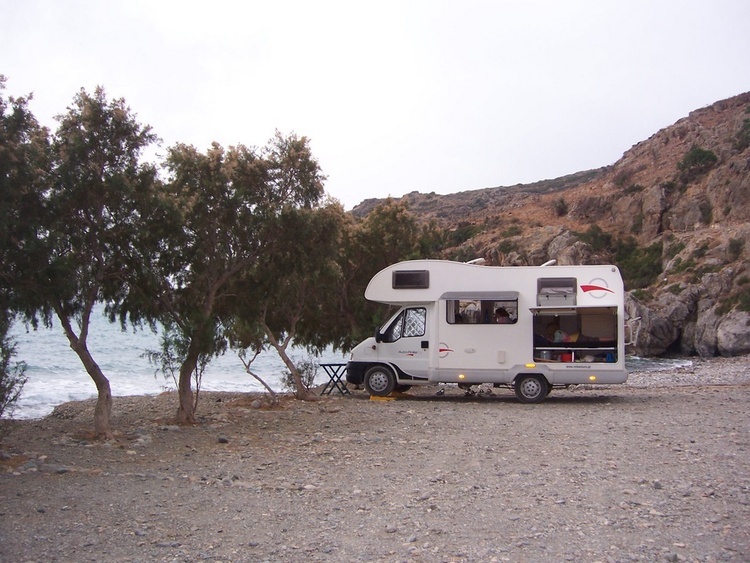 Come to Crete and tour this island by camper to discover it all! 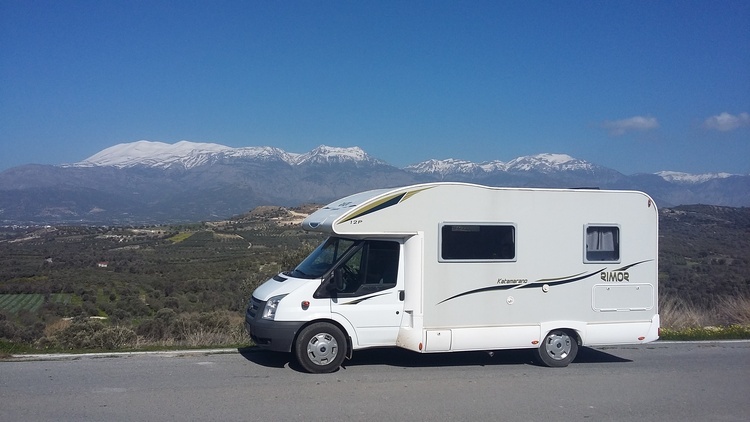 Mountain ranges cover the 260km long island, many impressive canyons, snow covered peaks, long hikes, colorful flowers all year long, desolated sandy beaches, 300 days of sun, crystal clear waters, blue Mediterranean skies, ancient history, art and culture, healthy food and the most friendly people. 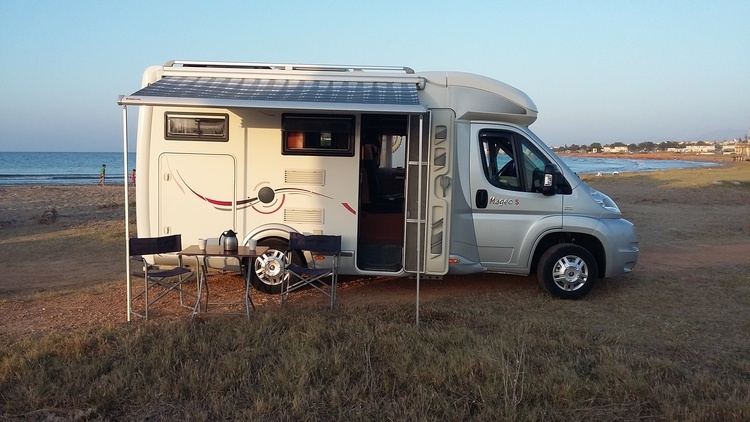 We rent 6 modern camper-vans in 3 different classes to discover this incredible island. 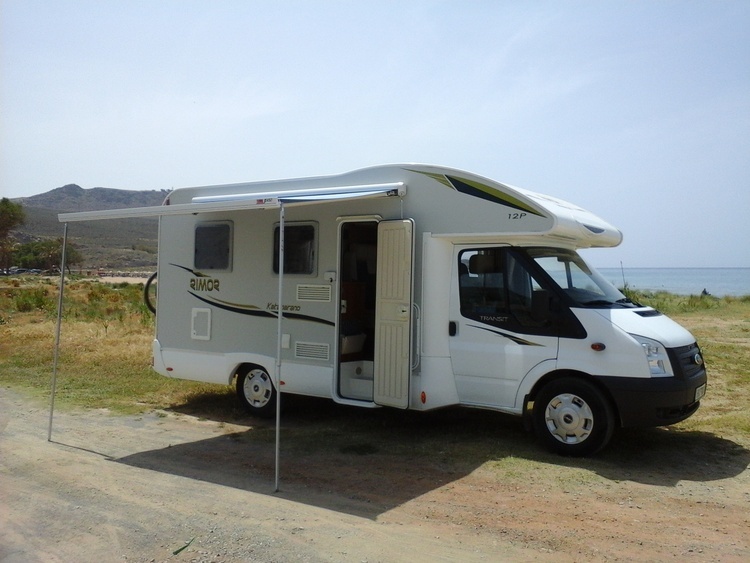 Low profile and over cab RV’s are ready for your tour across the island of Crete. Where the God of all Gods Zeus was born and mythology started. With the Minoan period being the first civilization of Europe. Why don’t you rent a camper and discover it all? 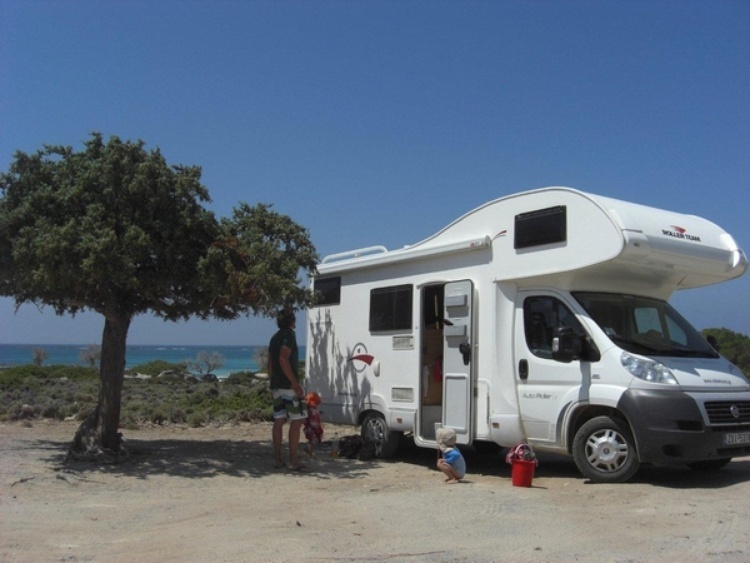 Free camping is tolerated at almost all beaches and makes your tour even more adventurous. And do you want more comfort, your welcome at any of the 15 organized camp sites. 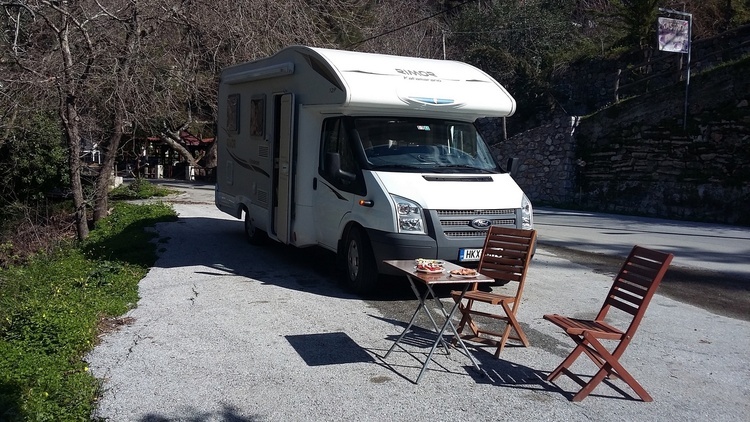 All our campers come fully equipped with refrigerator, cooker, warm water boiler, heating, toilet/shower, awning, outdoor table and chairs, complete kitchenware and on request beddings and towel sets. Come and visit Crete, a surprising island with a long history and beautiful nature..